Our waste management experts are here to support your clinic or surgery with all of your cosmetic and aesthetic enhancement waste. With our services your semi permanent make up waste, sharps, anatomical and clinical waste will all be handled professionally in full accordance with UK legislation, from timely collection through to safe transportation and disposal. You will also be provided with all of the legally required documentation so that you can rest assured that your business is kept legally compliant. Our professional aesthetics waste management services are fully tailored to cater to your business’ individual needs, so whether you need collection on a weekly or monthly basis, we will provide the right service for you. Get a free quick quote today for our aesthetic waste disposal service. We can help manage all of the waste that your clinic or surgery will produce on a regular basis. Our waste disposal technicians are experts in the safe and legally sanctioned measures for disposing of anatomical, pharmaceutical and clinical waste. Our services are also available for disposing of cosmetic surgical waste including liposuction, breast augmentation, skin treatments, hair restoration, face lifts and rhinoplasty. With Direct365’s waste disposal services, you will be provided with a wide range of safe and modern waste receptacles to choose from with different sizes to suit your needs. All of our waste bins are clearly labelled, can be colour coded, and fully meet the requirements of UK waste legislation to keep your business legally compliant. As a producer of municipal and clinical waste, you have a duty to ensure that all of the waste your beauty clinic or cosmetic surgery produces is disposed of safely and responsibly, in accordance with the law. This includes using a licensed, professional waste carrier to dispose of any potentially dangerous or infectious waste. Failure to abide by the duty of care could cause harm to the environment, put your staff and customers at risk and even lead to fines and other penalties for your business. With our service, you will receive full documentation and consignment notes to prove that your waste is handled professionally and safely and in full compliance with the law. We work to keep your business safe and efficient, so that you can concentrate on keeping your customers happy. 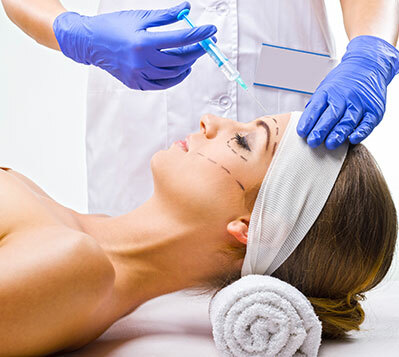 Call today to get all of your beauty treatment and cosmetic surgery waste removed safely in accordance with the law. We are here to support aesthetics clinics and cosmetic surgeries not only through the range of professional waste collection services that we offer, but also by providing reliable, expert information concerning your industry. NHS - How Should I Dipose Of Used Neeles Or Sharps?